Maintenance free waterfront living one block from the world famous Tarpon Springs Sponge docks. 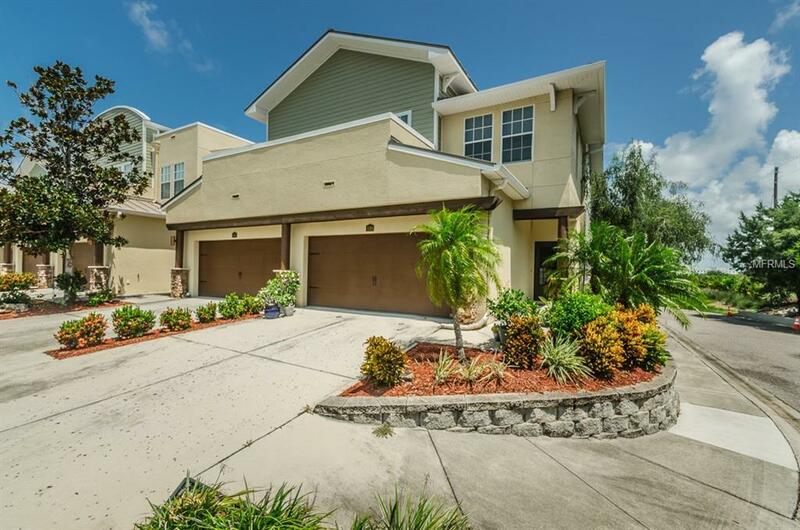 This 3 beds, 2 baths and 2 car garage end unit offers just under 2300 square feet of living and a wonderfully modern, unique wide open floor plan. Light and bright with plenty of windows, an open riser staircase and super high volume ceilings. The gourmet kitchen boast ceramic tile flooring, 42 cabinets, stainless steel appliances and granite countertops. High end wood laminate flooring in the living and dining area offer a touch of tradition in this modern gem. Upstairs is bright and open with a huge master suite featuring 10 ceilings, a sitting area, beautiful tile bath and a second floor balcony with relaxing water views. A long open hallway with the upstairs laundry and second full bath leads to the two oversized guest bedrooms. Conveniently located directly adjacent to the Tarpon Springs Dog Park, Water Park and kayak launch, the Pinellas Trail, and walking distance to outdoor recreation, restaurants, nightlife, shopping, marinas and short drive to world class beaches.